Wixen Music Publishing, Inc claims Spotify failed to seek licenses for significant parts of its 30 million-song catalog. A MUSIC PUBLISHER is seeking at least €1.3 billion from Spotify for alleged copyright violations, the latest lawsuit to hit the fast-growing streaming company. Wixen Music Publishing, Inc – which holds rights to songs of major artists including Neil Young, The Doors, Tom Petty and Santana – charged in a lawsuit that Spotify failed to seek licenses for significant parts of its 30 million-song catalogue. “While Spotify has become a multibillion-dollar company, songwriters and their publishers, such as Wixen, have not been able to fairly and rightfully share in Spotify’s success, as Spotify has in many cases used their music without a license and without compensation,” said the lawsuit filed last week in a federal court in Los Angeles. The lawsuit said that Spotify initially tried to work with record labels but, “in a race to be first to market, made insufficient efforts to collect the required musical composition information”. 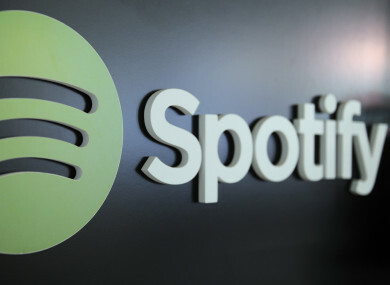 Wixen, which is seeking a jury trial against the Swedish company, presented a list of 10,784 songs for which it questioned Spotify’s permission to stream. The publisher said it was seeking the maximum allowed €125,000 in damages for copyright damages for each song, meaning an award of at least €1.3 billion, along with the fees of its lawyers. Spotify did not immediately comment on the latest suit. In May, it reached an agreement to settle a pair of two similar lawsuits under which Spotify said it would set up a €36.17 million fund to compensate songwriters. Wixen called the settlement, which still needs final approval from a judge, “grossly insufficient” and said that it would opt out of the deal insofar as possible. Even if unsuccessful, lawsuits amount to a headache for Spotify as the company considers going public. Spotify, which has been valued at anywhere from €6.65 billion to €13.3 billion, has maintained its dominance as streaming rapidly grows and transforms the recorded music market. Spotify said in July that it had 60 million users worldwide who pay for subscriptions, with 80 million more using its free tier. Email “Spotify hit with €1.3 billion copyright lawsuit from Tom Petty, Neil Young publisher”. Feedback on “Spotify hit with €1.3 billion copyright lawsuit from Tom Petty, Neil Young publisher”.